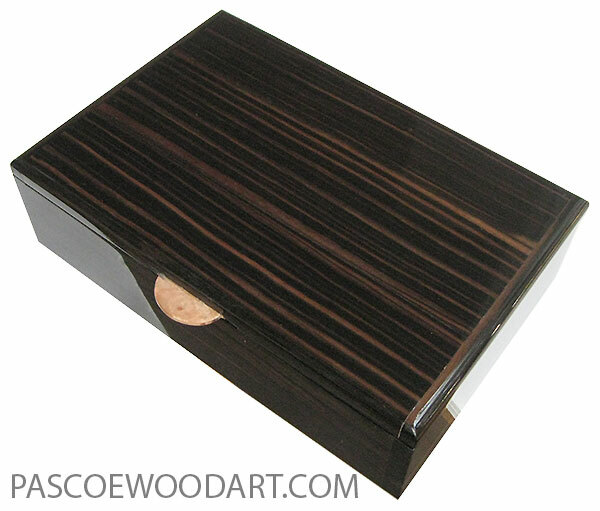 This box is made of 1/8" thick shop-sawn macassar ebony veneer laminated over aspen with solid macassar ends. 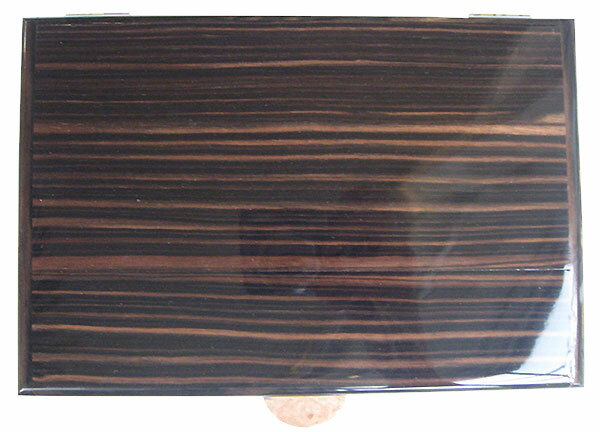 Macassar Ebony - diospiros celebica - This extremely valuable wood hails mainly from the island of Sulawesi in Indonesia and occasionally, Ceylon. Its range of growth is quite small and is therefore on the threatened species list and its export is carefully regulated to a very small amount. I was lucky to find this very fine piece. 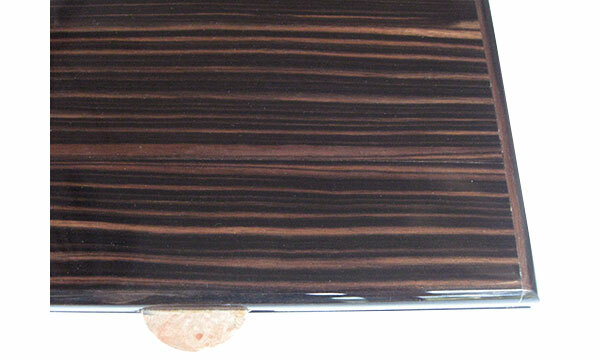 It is one of the striped ebonies, this one black/brown and tends to be very dark with stripes often barely visible. 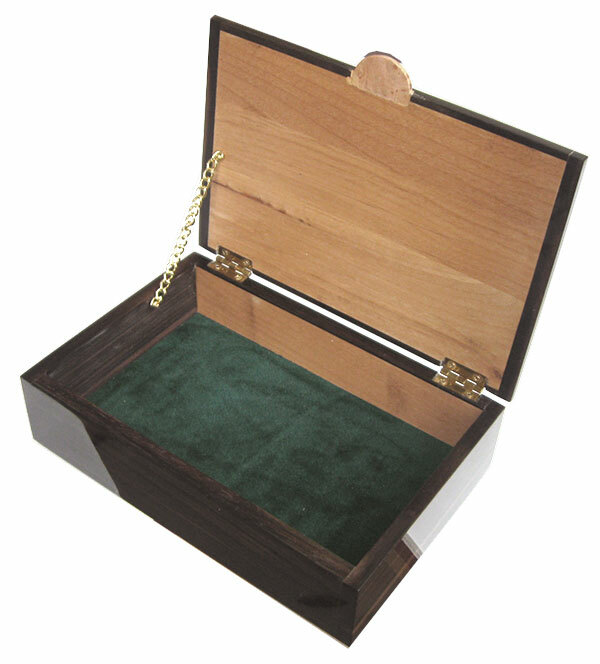 The wood is extremely fine grained with pores almost invisible and is very difficult to dry and takes a long time, further adding to the price. 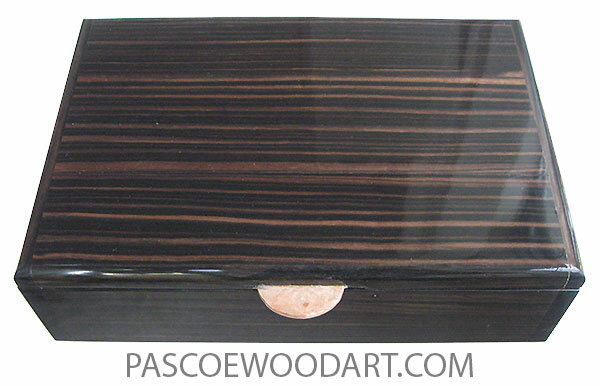 Indivisually handmade wood box, made of macassar ebony with solid macassar ebony ends..
Last updated April 6, 2019. Posted September 25, 2017.